Alloy Fasteners provides stainless steel fasteners for the Boating and Marine Industry. Alloy stocks and manages a large volume of fasteners specific to the Pool and Spa Industry. Decks and Fencing: Alloy provides kitted, paint matched fasteners for ease of installation and beautiful results. Windows, Doors, Atria all require specific corrosion resistance, see Alloy for the best possible solutions. For Storage Vessels and Tanks, Alloy provides certified fasteners to meet exacting standards and specifications. For Recreational Equipment from Water Slides to Swing Sets, Alloy stocks the right fasteners. Alloy Provides Special Stainless Fasteners for Outdoor Furniture Manufacturers. Alloy Supplies Stainless Fasteners for Solar and Wind Energy Projects. We are a nationwide distributor, manufacturer and direct importer of primarily stainless steel fasteners. We stock an extremely large selection of standard and special items, and offer economic pricing with fast delivery. We are quality certified, specialists in inventory management, and have 40 years experience. We are Alloy Fasteners, the premiere stainless steel fastener company in America. AlloChrome is now over 4200 hrs! Allochrome is now at 4200+ hrs. "Alloy Fasteners was given the highest rating"
"When you have a friendly reliable source like Alloy, there is no reason to go anywhere else." "...great customer service, wonderful products, same day shipping as well"
"we (are) getting a superior product with the AlloChrome fasteners..."
Pricing is exceptional Alloy does a great job for us. We look froward to continuing our relationship with Craig and Alloy for many years to come. 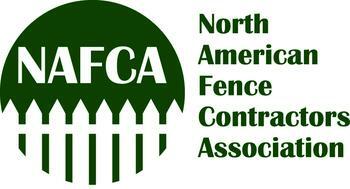 We are now a member of the North American Fence Contractors Association. 2012-2017 Alloy Fasteners, an Allesco Company - all rights reserved.